Our hospital is the leading medical center with a team of healthcare professionals. 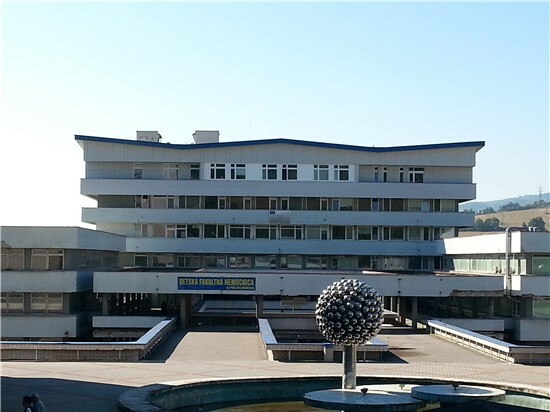 It is one of top three healthcare centers in Slovakia. Our goal is to provide quality health-care, to take care of our young patients as best as possible and, of course, by our approach we want to leave a positive impression of the hospital, or examinations that have to be done. Despite the effort, hospital can be a confusing place for both children and their families. Therefore it can be helpful to know what to expect. This page is designed to help you navigate your way through the experience of coming to hospital, explain some common hospital routines and processes and answer many of your questions. We believe you can find the information you are looking for. If you can't find the answers, contact us.